Protective skirt with integrated storage for your Waouuh 460 trampoline. It is important to safely prevent access under your trampoline. 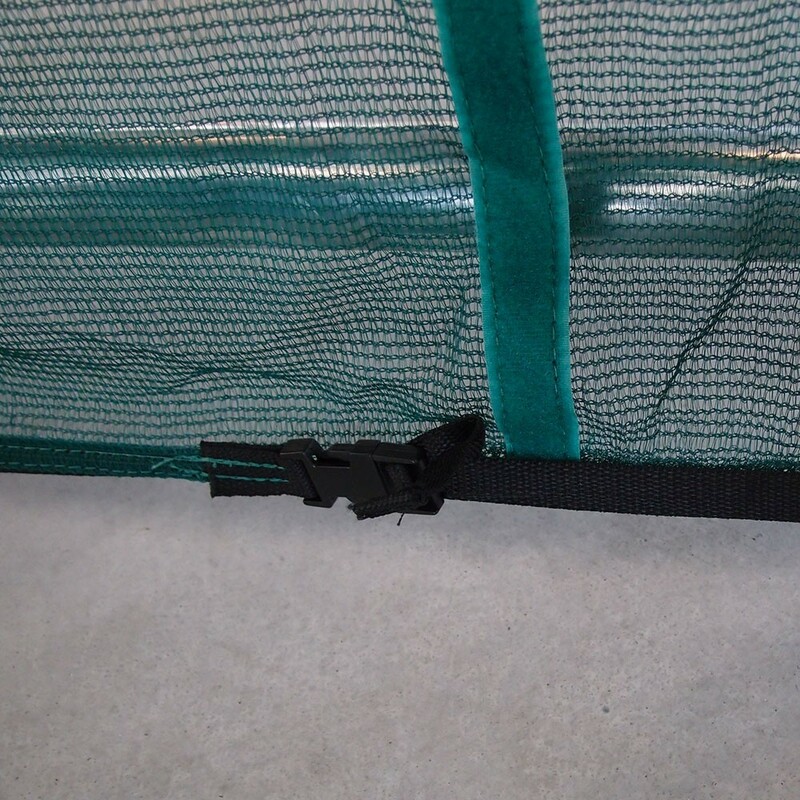 This safety skirt therefore allows you to secure the inferior part of your trampoline. Your children will be protected from any risks that they would take by hiding underneath it. The trampoline is characterised by a dynamism and flexibility, from high and powerful jumps. If someone is under the trampoline when you are landing, this could be very dangerous as the jumping pad can really near the ground. It is therefore imperative to prevent any access beneath the trampoline, to avoid any injury. 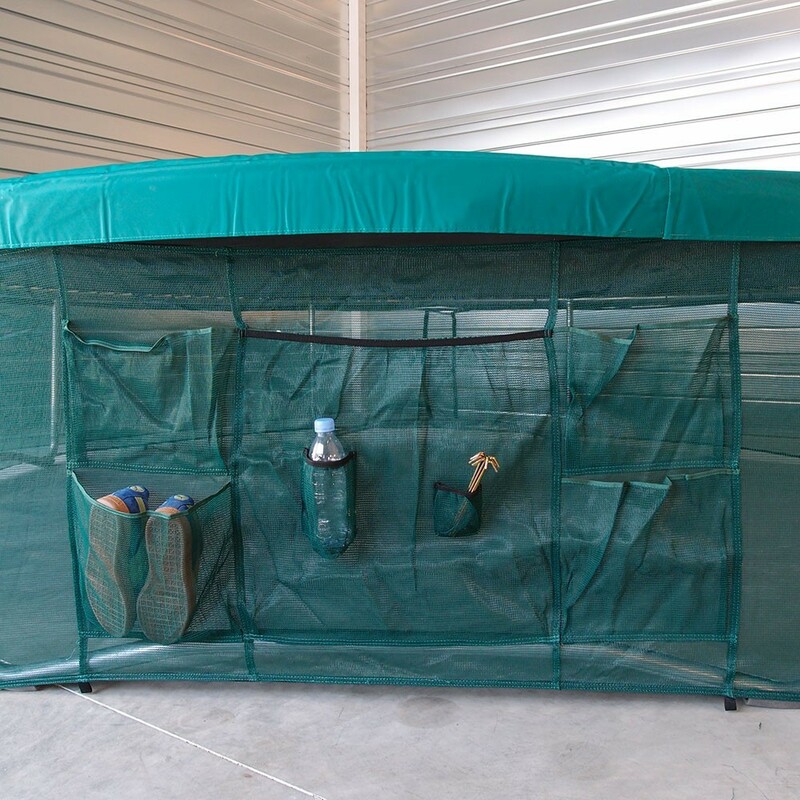 - The netting on the safety skirt is very fine, it therefore allows you to look through it and check that your ingenious children and pets have not manages to slip beneath the trampoline. It is very simple to make checks before using the trampoline. - The protective skirt also has integrated storage. This allows you to use the trampoline cleverly, as you can store all of your personal objects (keys, telephone, snacks, warm clothes, water, shoes…). Equipped with 5 big pockets, this accessory becomes essential for your trampoline. - The fixation system for this safety skirt is very simple as you just have to attach it to the framework of your trampoline. Next, metal pegs are used to fix it to the ground, guaranteeing strength and perfect stability. 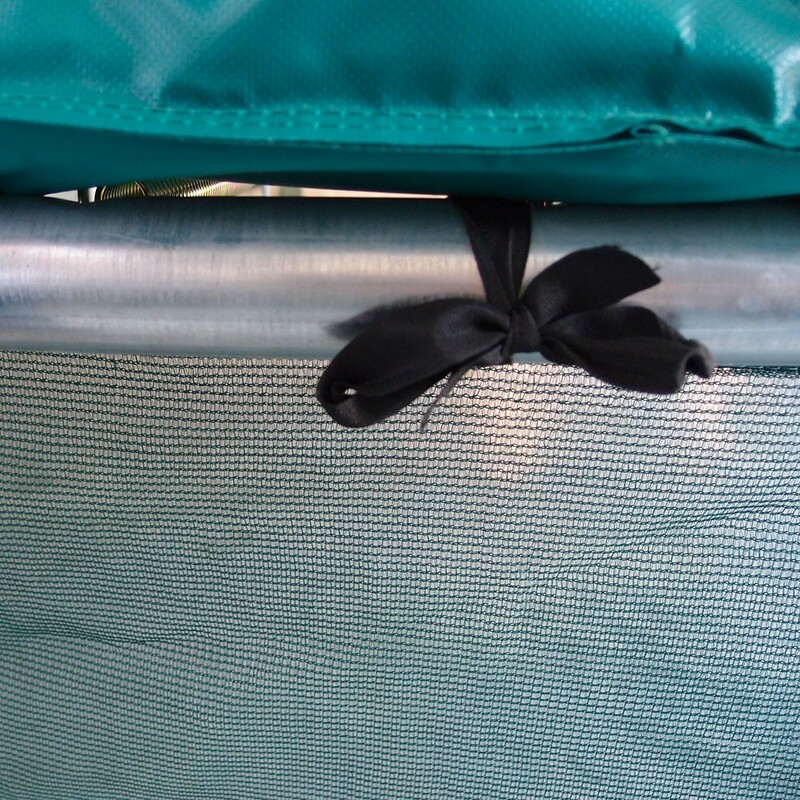 It is then easy to install an enclosure, once the trampoline and the skirt are in place. - The skirt is green so it will blend perfectly into your garden. - Safety skirt for Waouuh 460 trampolines.